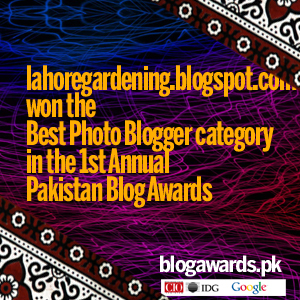 Let me share with the details of 2nd Tulip flower show lahore 2012. 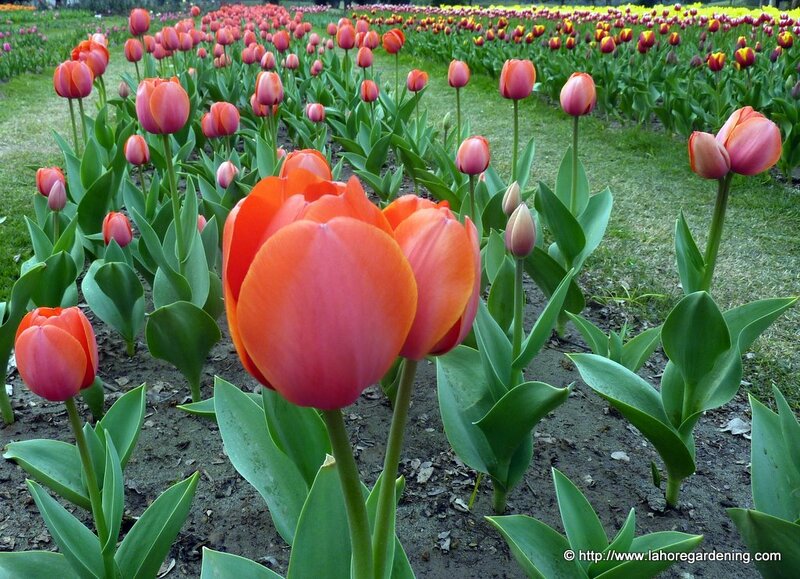 Second tulip flower festival was held 16-19 February, 2012 at Royal palm golf club, Lahore, Pakistan. No tickets were required as it was an open event. There were not a lot of people there may be due to lack of publicity of the show but the flowers filled that gap. 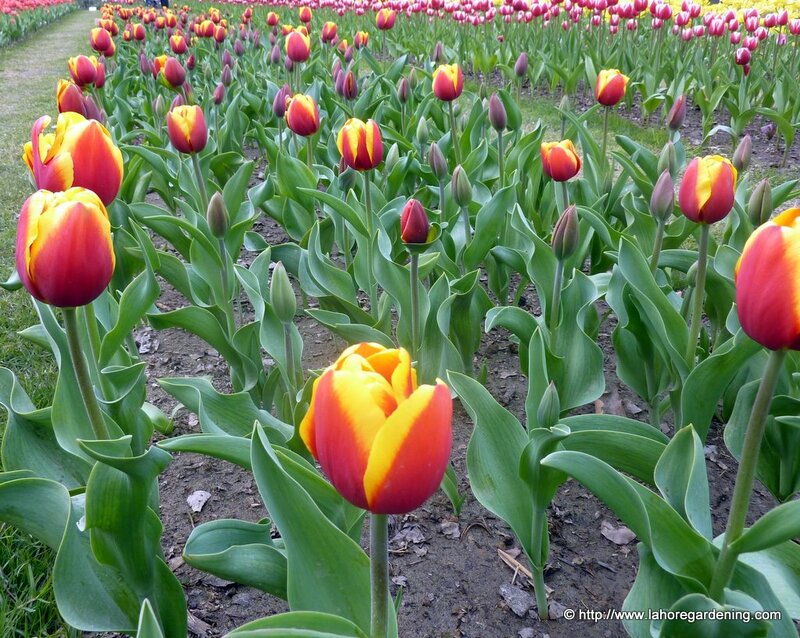 There were some new varieties of tulips which were not present in the first tulip show last year.Here are those. This one is Monte. I think most of these are darwin hybirds. My guess is none of the tulips there was species. The close up. My favorite picture of the tulip show. 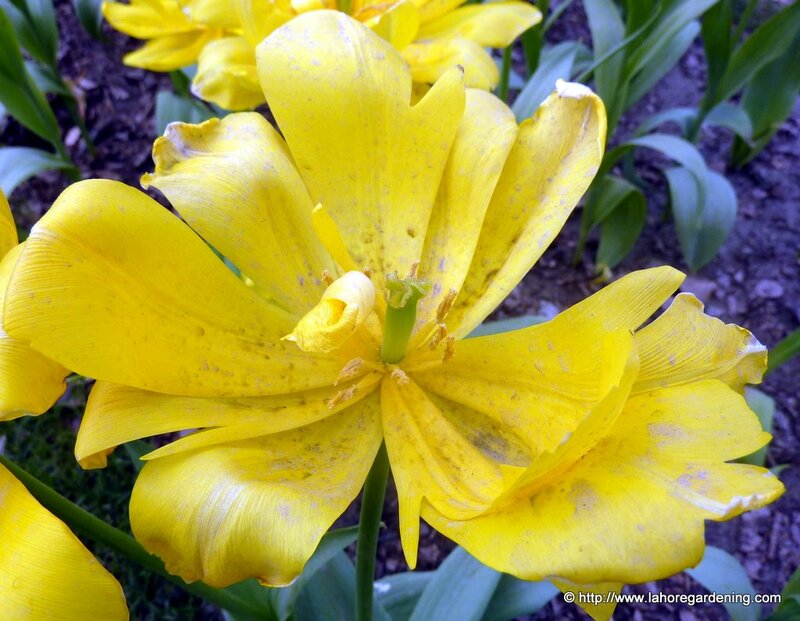 This is monsella is a an early tulip which is also called peony tulip due to its resemblance with peony. This is Gerrit Van Der Valk. 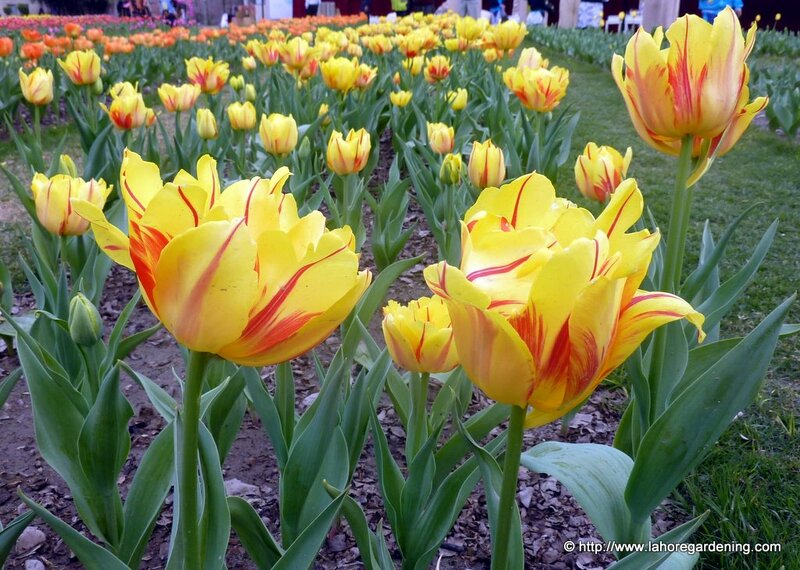 These tulips at the lahore flower show were meant for exhibition and not for naturalizing. 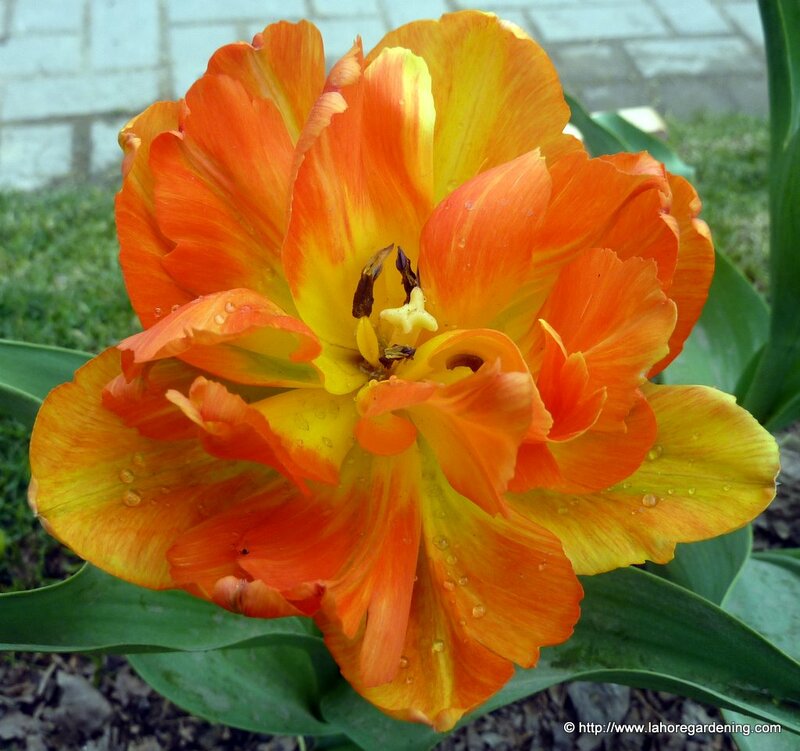 Probably early blooming tulips are more suited to naturalizing because late flowering tulips in hot climates like ours never get the time to gather energy for next year survival, this extra time is what makes early blooming tulips more suitable for naturalizing in hot climates. 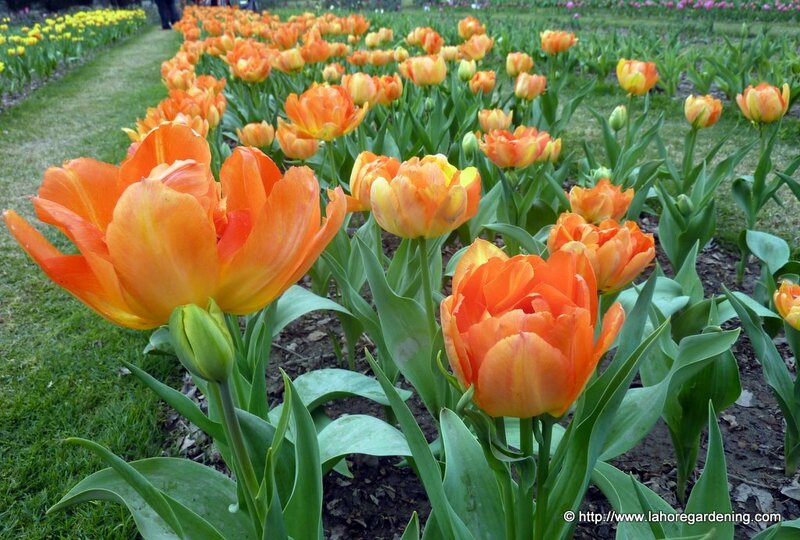 You can check out the coverage of other tulips flower festival on my blog. 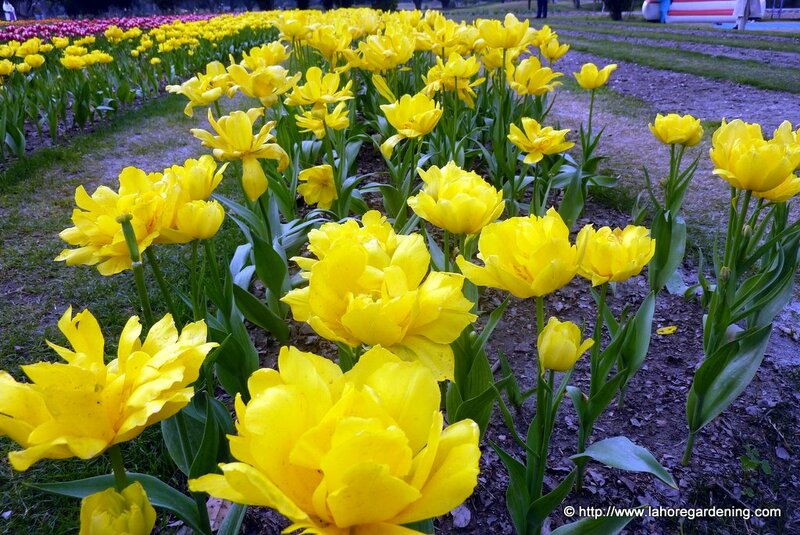 I guess the bulbs were pre-chilled as lahore climate requires pre-chilling for tulip flowers. 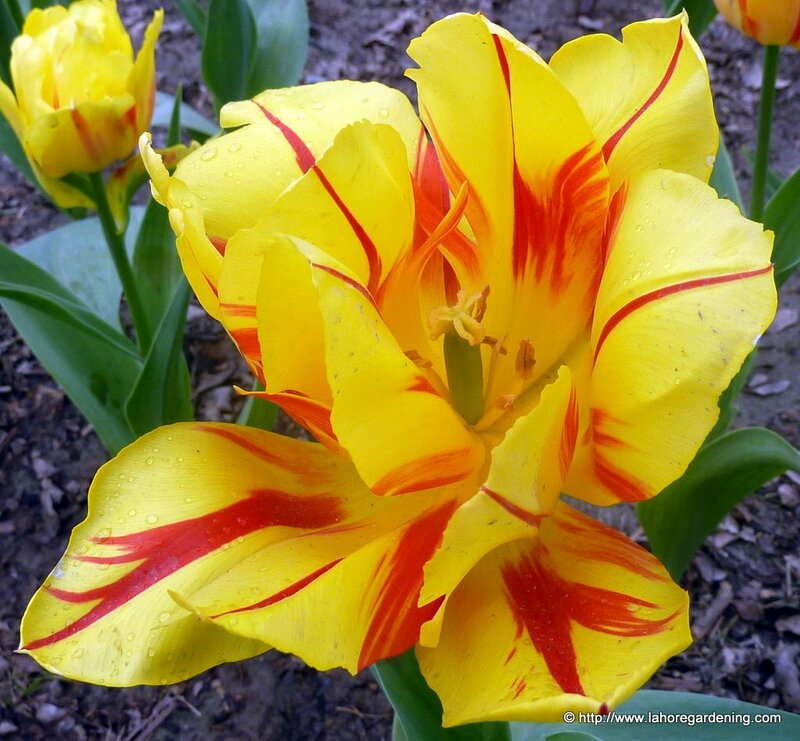 My experiment with species tulips this year is still in progress, will let you know if i am successful in that. Looks like the exhibition went good. Didn’t hear of it in the news.Have fun! Tulips are indeed lovely. Good images from you.